With so many cabinetry brands available nationally, it can be complicated to parse through all of the marketing. We have designed the list below to highlight what specifically makes a quality cabinet. 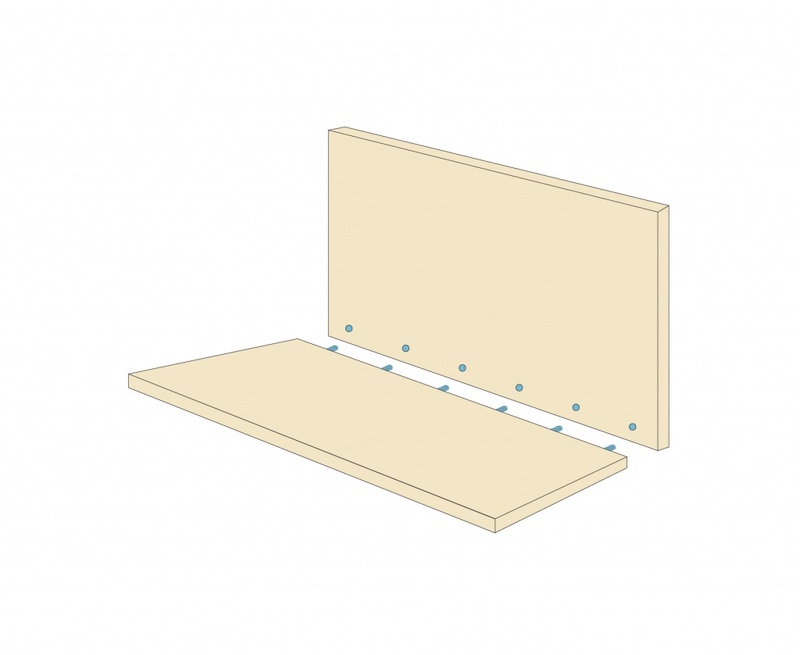 Cabinet back panels are fully captured 1/4″ material, which is encapsulated in a dado, then hot glued and nailed into the bottom and sides of the cabinet. Upper cabinets are also attached at the top. We only use full 3/4″ nailers and stretchers. All wall units over 36″ are constructed with a centered vertical partition for additional structural support. 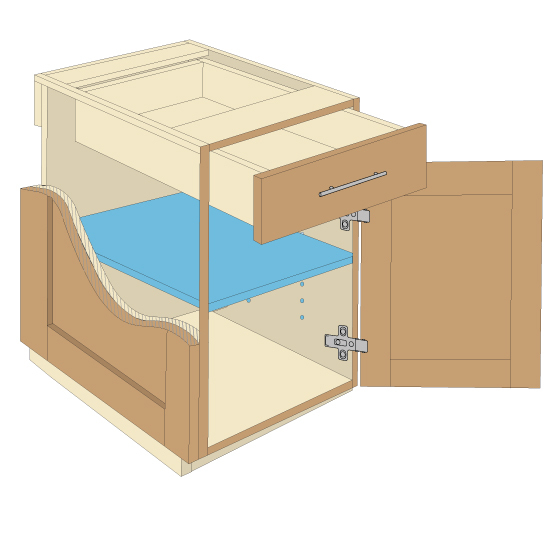 Fully adjustable dimensions means that to fit your specific home, we can custom size any cabinet up to 1/4″, meaning more usable space and less fillers. Our 8 mm solid wooden dowels are glued and clamped together in an automated case clamp to ensure the box is perfectly square and secure. 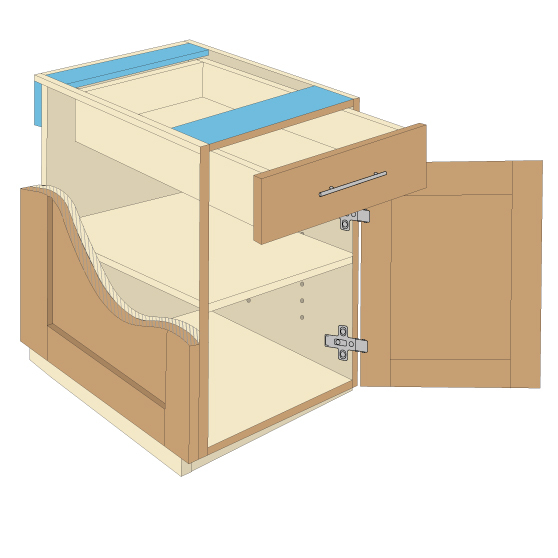 All cabinets (that aren’t drawer banks) come with 3/4″ adjustable shelves. They will match your interior material option. 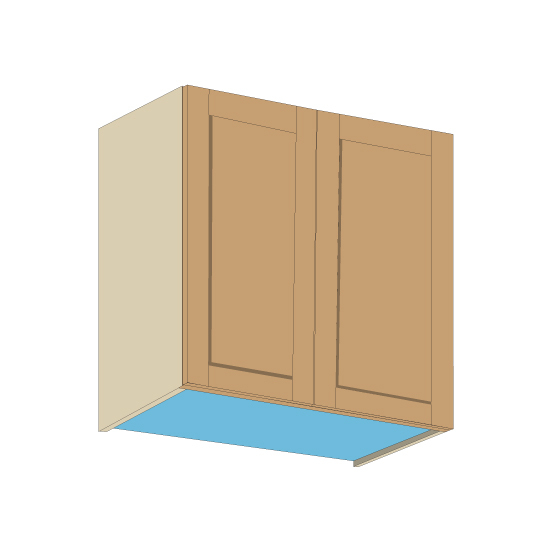 All upper cabinets can be ordered with a recessed bottom (to install your own under cabinet lighting) at no extra charge. This is a superior way to hide under cab lighting. You can upgrade to a plywood core. If you choose to do so, you will also need to select birch veneer for the interior material. Our standard is a 3/4″ finished material built into the cabinet box. 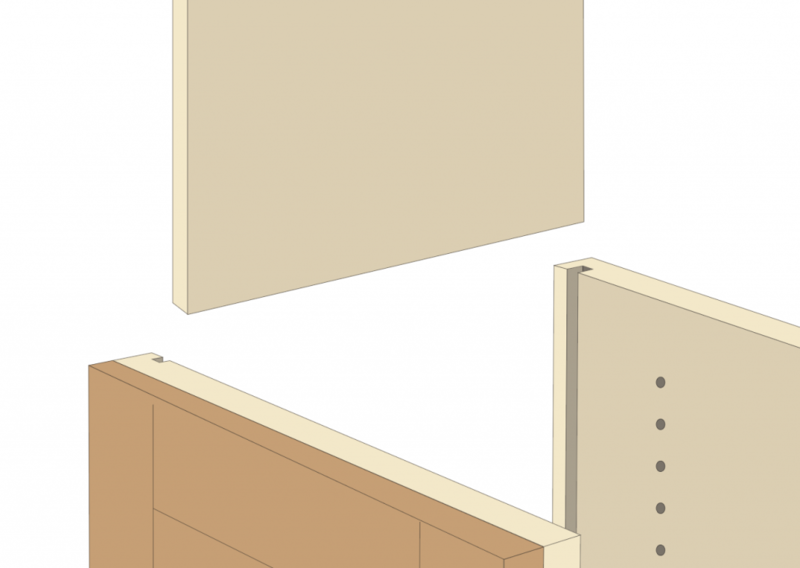 You can upgrade to an applied ends, which are 3/4″ finished material applied to the end of the cabinet box. We also produce deco end panels, which is an applied door sized appropriately to fit the exposed end of your cabinets. White melamine interiors come standard. You can upgrade to maple melamine interiors, or to birch veneer.